UTIAS SFL NEMO-150 micro-satellite bus housing the quantum receiver payload. Left: external view showing extended telescope and baffle. Right: cross-section showing the possible placement of the main receiver payload components demonstrated during this airborne QKD campaign. Credit: UTIAS SFL. The Canadian Space Agency (CSA) has awarded $1.85M contract to the University of Waterloo for the Quantum Encryption and Science Satellite (QEYSSat) mission. The QEYSSat mission was one of two projects cited in the 2017 budget when it was unveiled in March of this year. In April, the government sent Innovation Science and Economic Development (ISED) Minister Navdeep Bains to the CSA’s headquarters to formally announce the funding for the QEYSSat mission along with funding for a radar instrument that will be developed for a future orbiter mission to Mars and to announce the Canadian CubeSat Project. The $80.9M of funding would be over five years. The QEYSSat mission is a long term project. From conception to a future launch date could take upwards of 10 years. The QEYSSat mission principle investigator is Thomas Jennewein of the Institute for Quantum Computing at the University of Waterloo. 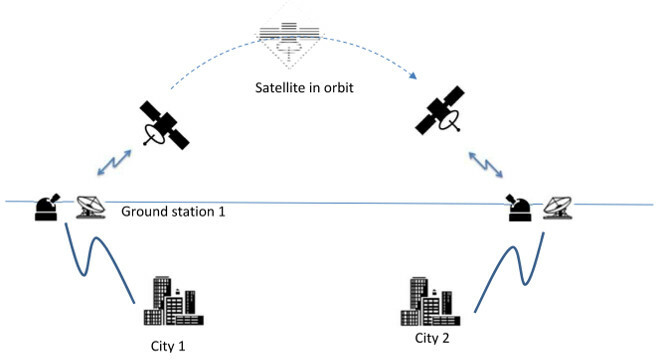 Jennewein and his colleagues initial research study started in 2010 with the Cryptographic Key Transfer Using a Quantum Optical Payload Study. This led to other studies including the Canadian Quantum Communication Satellite: Concepts and Components in 2011/12 for the CSA. In 2013 the CSA thought enough of the idea to fund a feasibility study which was awarded to then COM DEV (now Honeywell). The QEYSSat mission was at the time described as “at providing a platform for the Canadian science community that is developing new applications in the area of quantum cryptography”. In 2015 the CSA included the QEYSSat Detector Assembly as one of 23 Priority Technologies identified through the Space Technology Development Program (STDP).